Vermont senator and self-described socialist Bernie Sanders is running for president in 2016, he announced Wednesday in an interview with the Associated Press. He was expected to release a statement on social media Thursday, but decided to take everyone a bit by surprise and make it known a little earlier. Sanders is now the first person to step into the Democratic ring and challenge frontrunner Hillary Clinton, even though he identifies as an Independent. 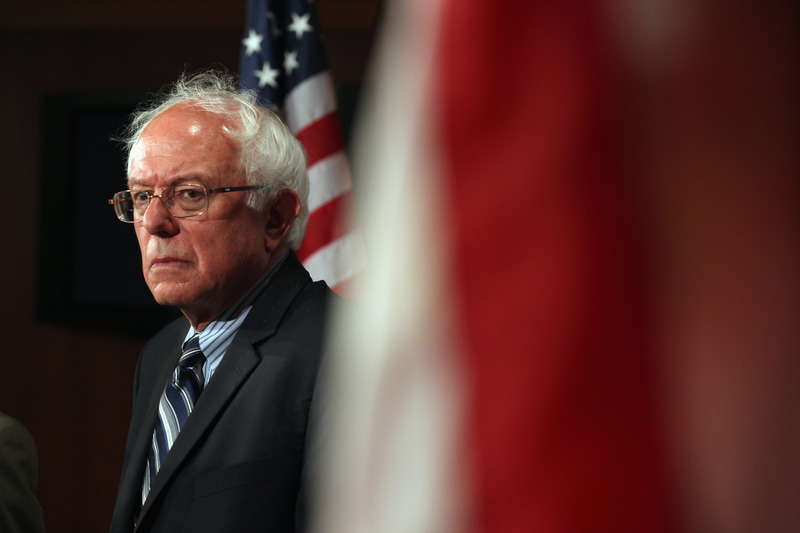 Sanders has promised to fight income disparity in our economy and the campaign finance system. For those who urged Sen. Elizabeth Warren to run as the progressive candidate in the 2016 election, their support will likely now go to Sanders, who has significant opinions about campaign finance, the economy, and health care reform. And while many might think Sanders is a no-name progressive entering the race against the well-loved Clinton fruitlessly, as Rolling Stone's Matt Taibbi reported, he's serious. This is a rigged economy, which works for the rich and the powerful, and is not working for ordinary Americans. ... You know, this country just does not belong to a handful of billionaires. A couple of weeks ago, Sanders said the only thing that was holding him back from announcing his official candidacy was ensuring he had enough money to campaign. In the AP interview, he spoke against the Citizens United decision that he says allows too much money into politics. But he must have found enough funds to decide he could run an effective campaign — up to $1 billion, he says — though whether money will be the factor that actually beats Clinton seems to be a long shot. He'll try, though. But can we raise the hundreds of millions of dollars that we need, primarily through small campaign contributions to run a strong campaign? And I have concluded that I think there is a real chance that we can do that. But, honestly, could Sanders ever actually have a chance against Clinton? Initial reports say no way. Polling data from Real Clear Politics put Sanders behind Clinton by more than 50 percentage points, with Clinton at 62.2 and Sanders at 5.6 (for the curious, Warren is at 12.7, Joe Biden at 9.8, and Martin O'Malley at 1.6). It's these kind of numbers that make some believe there's no one who can effectively challenge Clinton, but others think it's those numbers that mean the Democratic party actually needs a Clinton opponent. People should not underestimate me. I've run outside of the two-party system, defeating Democrats and Republicans, taking on big-money candidates and, you know, I think the message that has resonated in Vermont is a message that can resonate all over this country.